While this revolution is gaining wide acceptance, UMKA, a decentralized blockchain-based labor market with efficient project implementations and a wide variety of useful tools integrated into its system has arrived. 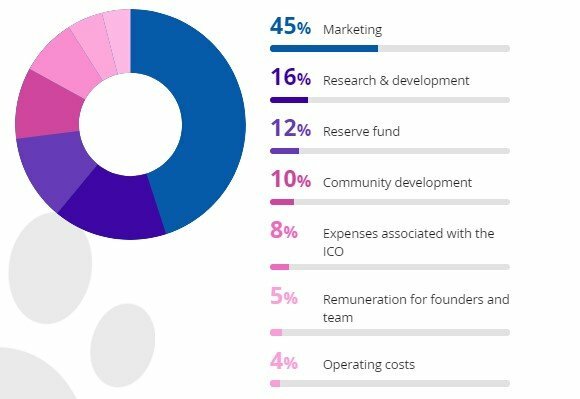 UMKA is an efficient project implementation and a team-building tool based on the blockchain technology. UMKA means financial safety for all users: all platform transactions use agile smart contracts based on blockchain technology. Secure deals are done using the customizable Agile Smart Contract methodology based on the EOS blockchain. AgileSC offers an opportunity for stage-by-stage project payments and agreed-upon amendments while guaranteeing efficiency and convenience for all parties involved. Freelancers can work on their own or in project groups, and can be paid in 15 cryptocurrencies as well as fiat currencies. UMKA takes a 1% commission from all smart contract transactions within the platform. Funds, gathered this way will be distributed among UMK token holders automatically. Furthermore, UMKA is a decentralized blockchain-based labor market with efficient project implementations and a wide variety of useful tools integrated into its system. UMKA is a comfortable space for cooperation between employers and contractors that offers a wide array of useful tools integrated into its system: digital passport contains user’s data. The data is stored on the blockchain. The digital passport contains all the information about user’s skills and qualifications, his/her work experience and a possible list of courses completed within UMKA platform sources. The digital passport makes easier for employers to find freelancers with the required skill set. UMKA is a decentralized labor market. It is an efficient project implementation and a team-building tool based on the blockchain technology. UMKA offers employers a selection from dozens of thousands of freelancers with the required competency levels recorded in their electronic passports. UMKA provides freelancers with access to thousands of projects, vacancies, testing systems with a self-control function, and training programs from the world’s leading educational institutions. UMKA does not only offer a job search. It is a smart system that makes possible for employers to set the precise requirements for freelancers while freelancers are able to build competencies following the market trends. Centralization: finance and data are accumulated and managed by a single entity. Platform regulations, the amounts of fees and commissions, and the system’s technical parameters may be amended without the consent of the users. No guarantee of timely payment and proper work performance. High commission fees. Commission fees on the freelance platform market currently range between 2.7% and 20% of the transaction amount. UMKA is a 100% decentralized user-managed system. All data on transactions, ratings and key user data are stored on the blockchain. An Agile Smart Contract that allows stage-by stage payment and amendments agreed upon by both parties: Contains data on the work schedule, budget and specifications; The entire transaction amount is put on hold under the employer’s account until the project begins.UMKA’s commission fee is 1% per transaction. All transaction commission receipts will be used for further service and support improvement. UMKA customers can assign specialists to project groups that can be moderated. Project budget can be specified for each group. A group chat is automatically created afterwards. The UMKA Specialist’s Passport holds details about their areas of competence, advanced training, professional experience and qualifying examinations. The UMKA Client’s Passport holds information about the client’s company and feedback from freelancers. The UMKA app supports group chats, meetups, and news feed for every professional community. The UMKA experts participate in arbitration proceeding between clients and specialists. UMKA is designed as a digital meeting point for professionals in various fields who can either perform a particular type of services or hire experts in the framework of the projects. With its interface, UMKA seeks to minimize the barriers that most freelancers and employers face in finding projects as well as hiring professionals who are qualified to perform a particular work. UMKA proposes an active labor market policy. This includes job search assistance, integrated training courses as well as legal support in terms of contracts conclusion. In order to enable effective interactions, two types of community groups will be created, refereed as project groups created by freelancers, and independent experts. Employers in turn can easily contact any professional they are willing to employ for a project. Employee profiles, which are introduced to the platform as digital passports, will cover qualification, professional aims as well as skills and achievements. On top of that, information concerning course completion provided on the platform as well as ratings will be available as well. Each project proposal should contain information on aims and desires results and identify the scope of the work. Commissioners should plan their project budget and allocate the right amount for each asset. UMKA's interface will enable a professional communication through the chat option with integrated machine translation. Commissioners will be given an opportunity to leave feedback as soon as the work is done. The UMK token is an ERC20 token issued on the Ethereum blockchain. UMK is a security token. It gives its proprietor the right to seek after their venture interests. Public ICO started on June 1, 2018 and will end on August 1, 2018. Both the technology and the audience are a main driver of change on the labor market. UMKA takes the advantage of the growing popularity of freelancing and turns its vision into a new digital platform for project management. Fresh initiatives to promote such changes would be certainly welcomed worldwide. At the initial stage, the platform will accept BTC and ETH as a means of payment. Seven more cryptocurrencies alongside fiat assets will be added for the fourth quarter of 2018. In general, the project leaves a positive impression with regard to original idea and project documentation. Platform announcement. Development of prototype based on the improved concept. Final release of UMKA application. Full-fledged advertisement campaign. GNMT integration. Hackathon.